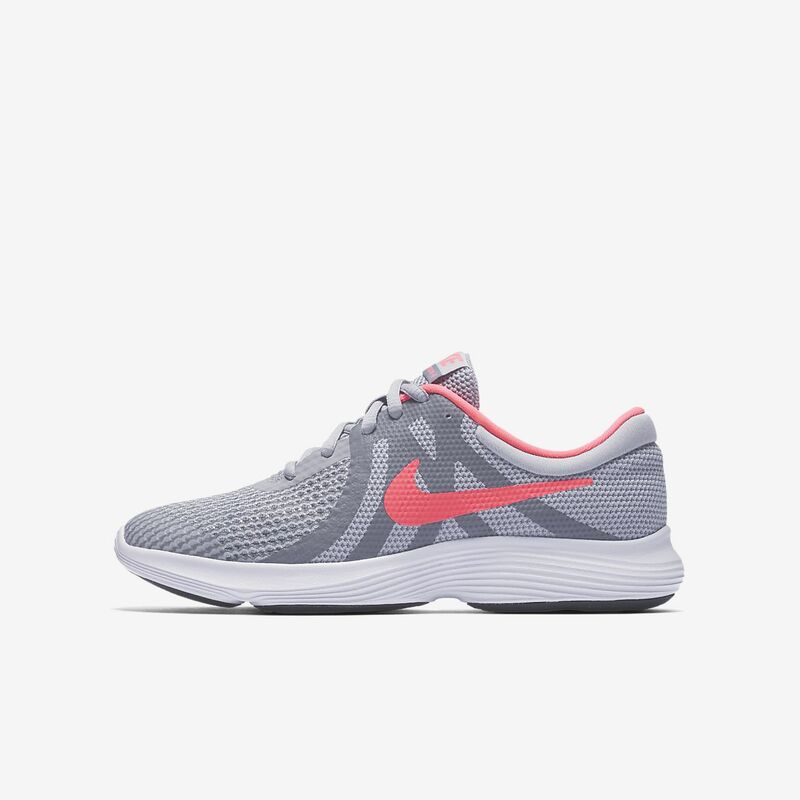 The Nike Revolution 4 Big Kids' Running Shoe combines lightweight cushioning and a minimal design for streamlined speed and lasting comfort. The Nike Revolution 4 Big Kids&apos; Running Shoe combines lightweight cushioning and a minimal design for streamlined speed and lasting comfort. My daughter loves The sneakers its comfortable beautiful colors. I have a hard time finding shoes that my daughter will wear because she hates the feeling of tight shoes. She tells me over and over how they are her favorite shoes and she hopes they never go away.